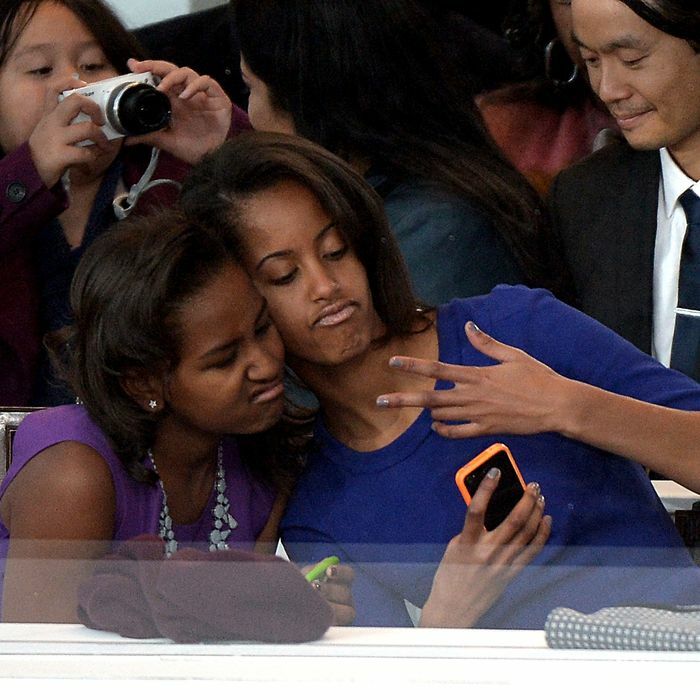 Sasha and Malia take a selfie. 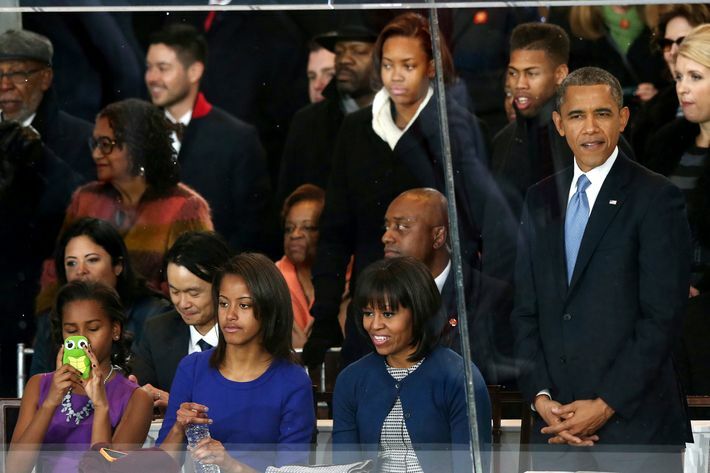 According to an informal poll of three people on Gchat, the best part of the inaugural parade yesterday was not the bands, or the dancers, or the other bands or dancers, but the photos of the Obama family taking photos. Here are the best ones, in ascending order. 6. 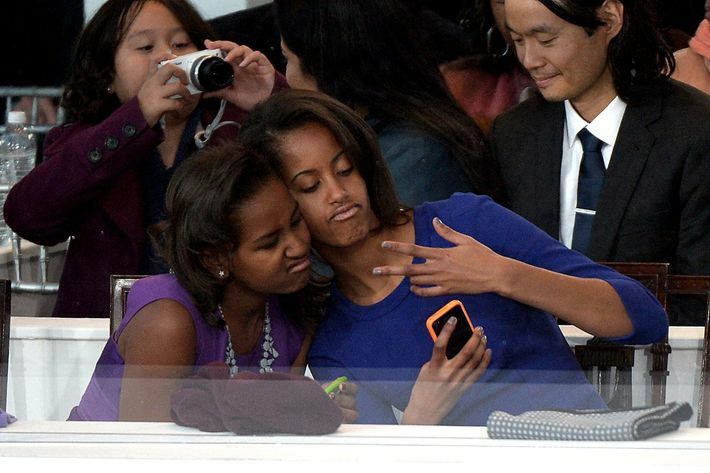 We don’t even know what Sasha is taking a photo of here, so this is the worst. 5. 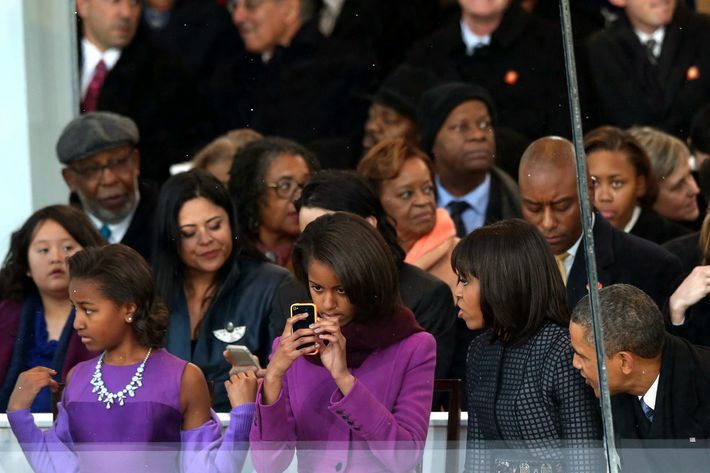 We also don’t know what Malia is taking a photo of, but she gets credit for being really into it. 4. 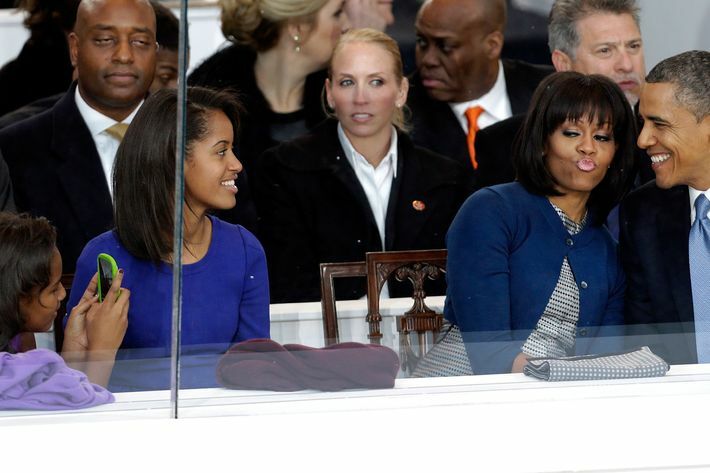 Duck face: negative a million. 3. Pretty anodyne. 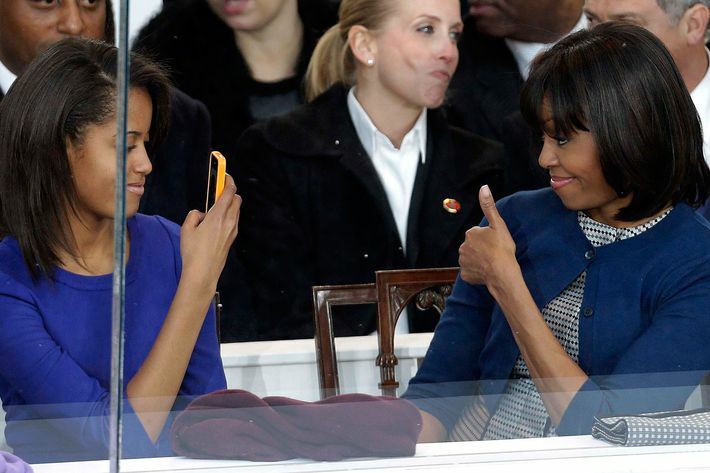 Thumbs-up, sure. 2. 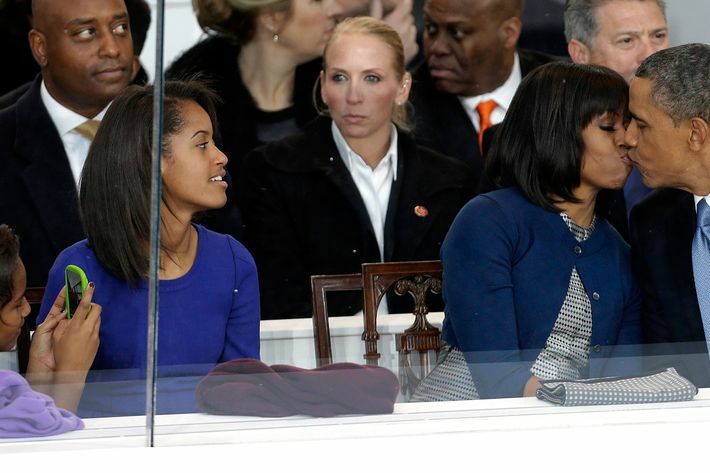 A Secret Service agent gives Sasha the death stare, perhaps mistaking her turtle phone for a weapon. 1. Look up the word selfie in the dictionary, and you will probably not see this photo, because selfie isn’t a real word and dictionaries don’t really have a lot of photos. But if it were and they did, this photo would be there.